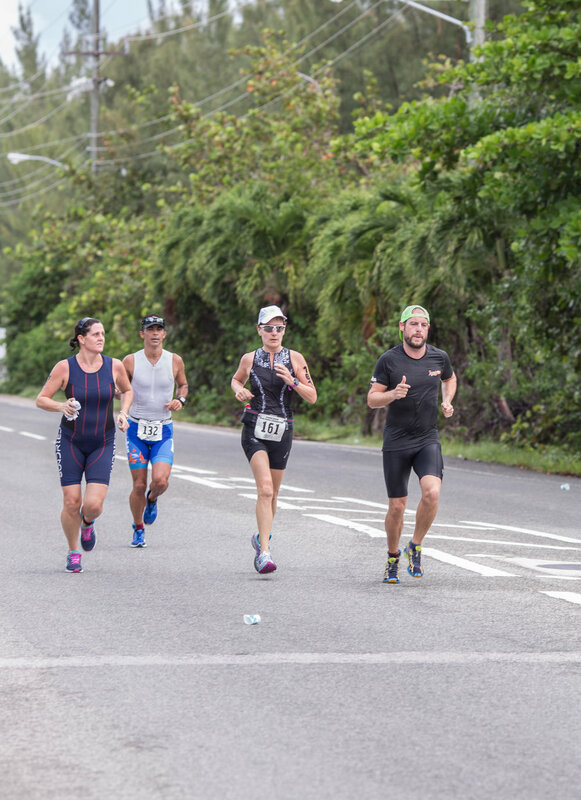 Major annual events include the Cayman Islands marathon, international rugby fixtures, the biggest one mile sea swim in the world, tennis tournaments, athletics championships, to name but a few...AND the Cayman Islands Triathlon. 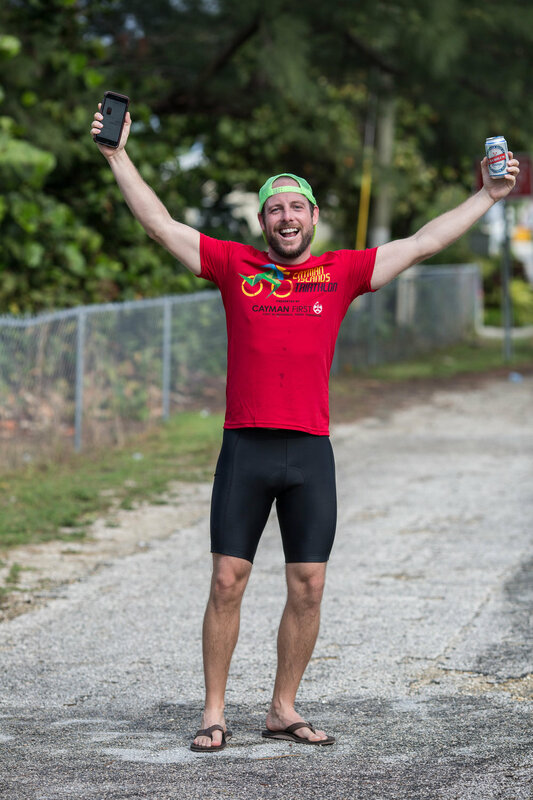 It's never really captured my attention before as I don't pretend or aspire to be a triathlete but this year, Rich decided to set his sights on the Olympic distance and compete for the first time. Since quitting rugby he has taken up cycling and earlier this year started swimming lessons. Yep - he decided to do an Olympic distance triathlon without being able to swim 100 metres in one go without stopping. You know what they say: if it doesn't challenge you, it doesn't change you! He trained like a maniac, successfully mastered the art of swimming and so on November 5th we woke up with the sparrows ready for the race. Him with all manner of sporting equipment and energy gels at the ready. Me with the biggest mug of coffee I could find and a camera. 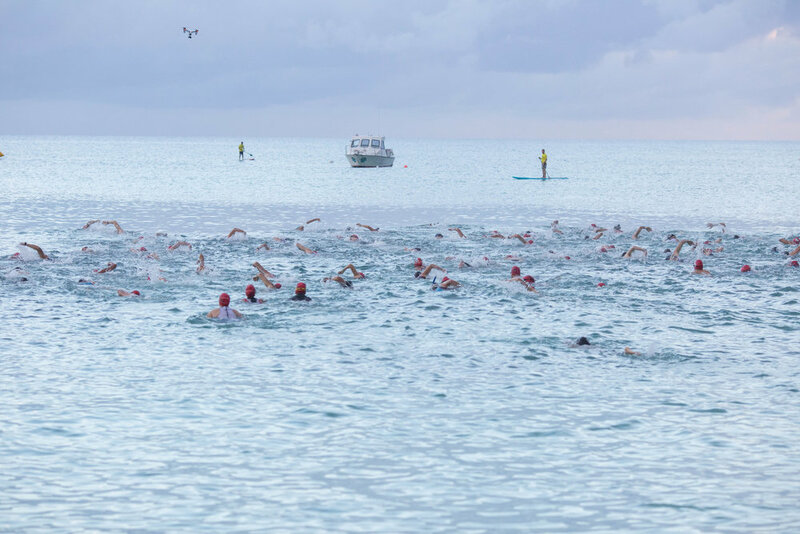 Having taken part in the Stroke and Stride series for the last couple of years, I know that the Cayman Triathlon Association have a good reputation for having their ducks in a row, but I was blown away by the level of organisation of the event. Like a well-oiled machine, everything was running like clockwork. Volunteers, time keepers, water station marshals manned their stations and helped athletes prepare. And before long they were off! Over 100 lycra clad nutters made for the sea and started flapping in an epic battle to complete the 750m or 1500m course (sprint vs olympics distances). Soon the sprinters were leaving the water while those going the olympic distance set off for another lap. It's a really great event for spectators (ok, apart from the early start...on a Sunday) because there's always something to watch - just as the Olympic racers set off on their bikes, the sprinters start arriving back and head out on their run - which is several loops of a short course. And before we'd really had a chance to stop and congratulate those finishing the sprint, it was time to welcome the full distance folks back from their bikes and cheer them out onto the road for the 10km run. By this point there were people lining the road on both sides, kids with coolers giving out water and ice pops to tired bodies running past. Cheers went up as the brave runners started their last laps and the finish line edged closer. Congratulations to everyone that looks part - athletes, volunteers and organisers, you are all amazing! Thanks for a truly enjoyable, inspiring morning!